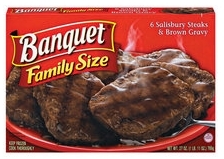 There is a new coupon available for $1.00 off Banquet Family Size Entrees. This is also a coupon that will be mailed to you. Head over here to request your coupon.